A closer look at chain lube. There is a great video explaining the differences in lubes, as well as showing you the proper technique to use when lubricating your chain. Sugar: It’s the Best (Fuel)! 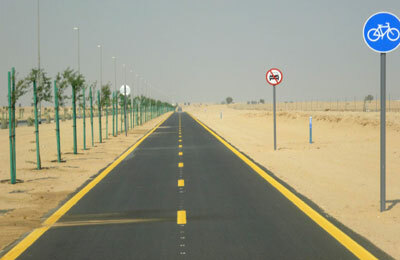 Dubai’s Roads and Transport Authority (RTA) has started work on a new 21.2-km-long cycling track linking Seih Assalam and Nad Al Sheba areas of the emirate at an estimated cost of Dh32 million ($8.7 million). Welcome to a new blog on cycling in Dubai for the amateur or aspiring new road cyclist. Just being created, but lots of content will be added on getting started, buying a bike and kit, joining groups and where to ride. We will also do an overview of the local dealers and how to keep your cycling costs to the minimum. If you are an avid cyclist and wish to help us with the blog, please get in contact and send us your stories, tips and info.